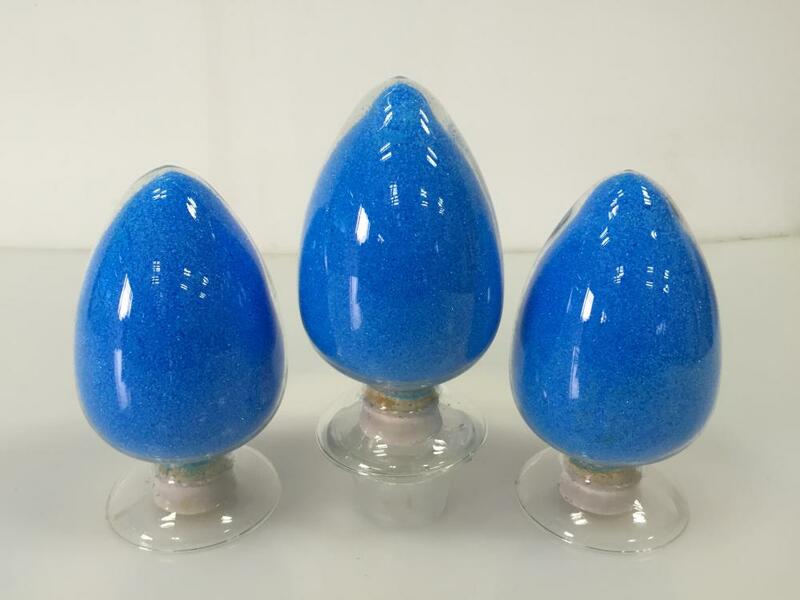 Properties: five copper sulfate hydrate under the atmospheric pressure is stable, no deliquescence, gradually weathering in dry air, lost two molecular crystal water when heated to 45 ℃, 110 ℃ when losing four crystallization water molecules, known as copper sulfate monohydrate. 200 ℃ all without losing the crystal water and no water content can also be lost five water of crystallization in under the action of concentrated Sulfuric Acid. Anhydride also easy bibulous into five water copper sulfate. anhydrous copper sulfate (white or grey powder) after absorbing water reaction (blue) of copper sulphate pentahydrate, often use this feature to test some liquid containing trace water in organic matter (such as to identify whether alcohol water, adding a little alcohol in identification anhydrous copper sulfate, such as white anhydrous copper sulfate become blue, then mixed with water in alcohol). Both pay attention to distinguish. All sizes for irregular massive crystals. Dark blue or light blue, translucent. Very brittle, fragile, debris into prismatic shape, cross section. With large, dark blue, transparent, without impurities is preferred. Dew dry air, slowly weathering. Heated up, the loss of water of crystallization, you become white, when water is blue. Soluble in water and glycerol, insoluble in ethanol. Aqueous solution show the various special reaction of copper salt and sulphate. 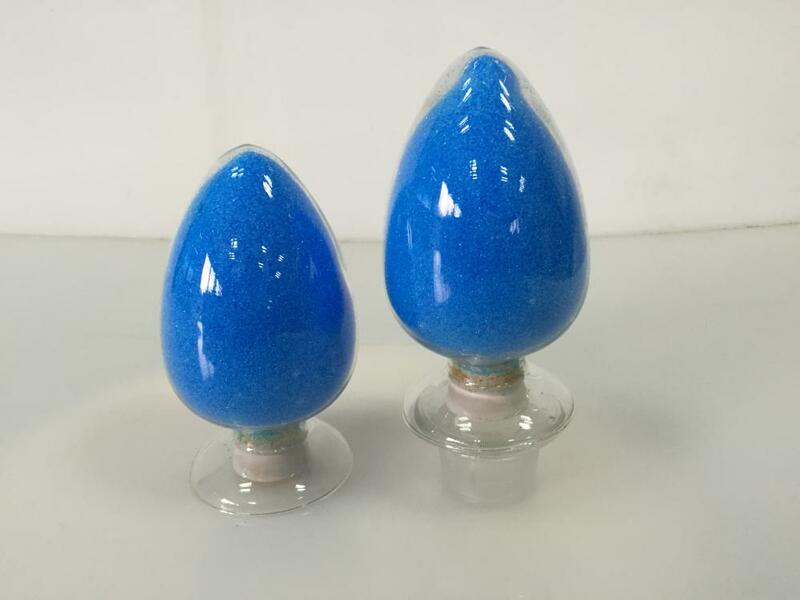 Copper sulfate is one of the more important copper salt in electroplating, printing and dyeing, pigment, pesticide, etc, have a wide range of applications. Inorganic chemicals bordeaux mixture is copper sulfate and lime mixture, it is a good bactericide, can be used to control a variety of crops diseases. In bordeaux, France in 1878, the vine disease occurred most of the dead, and the trees on both sides of the road, afraid of pedestrians to pick to eat on the trunk with quick lime and copper sulfate solution, the trunk gray, dare not eat pick pedestrians looked uncomfortable, the tree did not die, knows the mixture with sterilization ability, the further study called bordeaux mixture. Compound bordeaux mixture, copper sulfate and calcium oxide (preferably massive fresh lime) ratio is usually 1:1 or 1:2, the dosage of the water also by different crops, and no disease, seasonal factors such as temperature. Works best when making up "two fluid method", namely to copper sulfate and lime mixed with half the amount needed for water respectively, and then into another container at the same time, stirring constantly, he gets sky-blue colloidal solution. Bordeaux mixture to match current now, because the place too long, colloidal particles will sink increases gradually and reduce the effectiveness. Copper sulfate is also used for the preparation of other copper compounds and the electrolytic refined copper electrolyte. 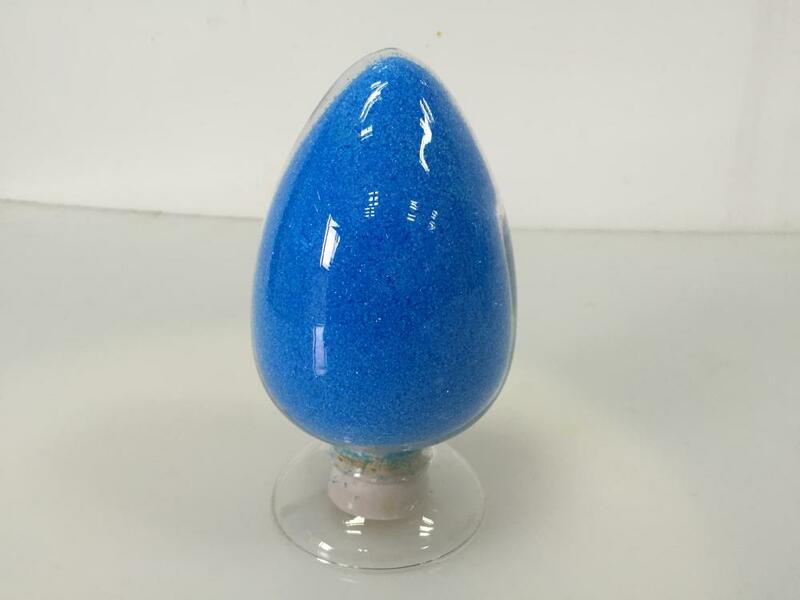 Can be made of copper oxide of copper sulphate pentahydrate and or copper sulfate and concentrated sulfuric acid, concentrated made by crystallization. Looking for ideal LanFan Lanfan Copper Manufacturer & supplier ? We have a wide selection at great prices to help you get creative. All the CuSO4 5H2O Copper are quality guaranteed. We are China Origin Factory of Bluestone Copper Copper. If you have any question, please feel free to contact us.